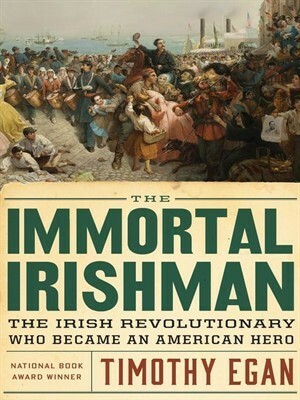 Green beer aside, the most appropriate way to celebrate St. Patrick’s Day would be to learn more about one of Ireland’s greatest exports, Thomas Francis Meagher. Few people have lived a life as full of action and adventure as Meagher. Even fewer have willingly embraced a destiny of heroism and tragedy in equal measure. Meagher came of age in desperate times. In the late 1840s, Ireland was in its death throes, wracked by the Great Famine. At least 1 million starved to death and another 2 million fled the island, mostly to America. The immediate cause of the famine was a potato blight. But a malignant, feudal-style government was the real culprit. The Catholics of Ireland were ruled by a landowning Protestant aristocracy whose allegiance was to England and not to their welfare. Though Catholics made up 80 percent of the population, they remained in indentured servitude on great estates owned by absentee landlords. The horrifying truth of the Great Famine was that Ireland was producing enough grain crops to feed its population. But Irish grain was a money crop set aside for export.